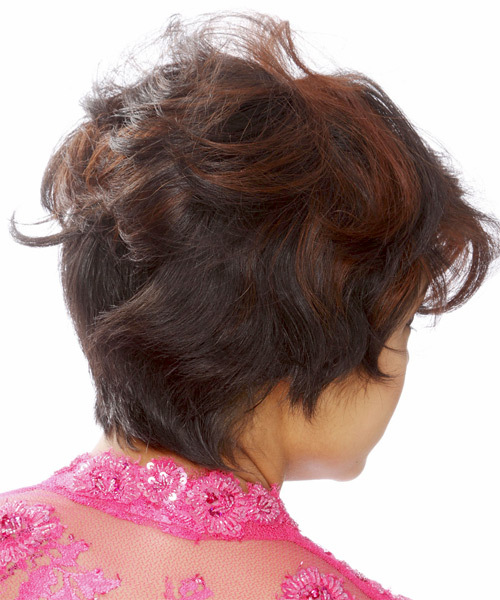 This full and fancy 'do is blow-waved messy and dressed over to one side with the messy bangs framing the top of the face to complete the over-all style brilliantly. This highlighted 'do will need product for hold and shine as well regular trims to prevent split ends. Spray your hairspray over your bangs for extra support.